Click on the Iridescent Theme button in the left sidebar. 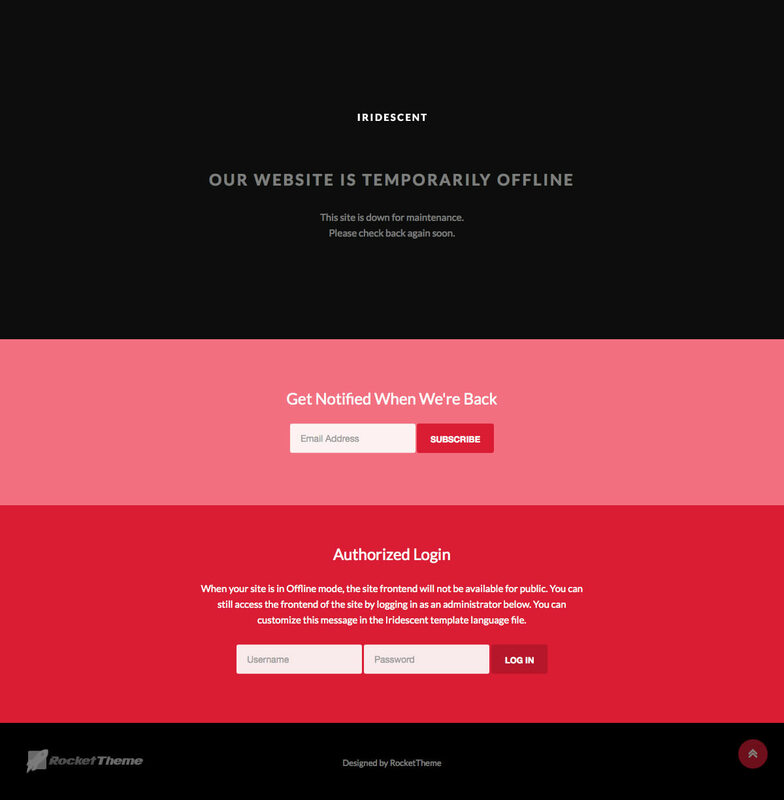 Iridescent comes with it’s own customized Site Offline page which is displayed when the site is set to Maintenance Mode within the theme settings. This page, /wp-content/themes/rt_iridescent_wp/maintenance.php can be easily customised with your own layout, logo and colours, so it represents a message which relates to your project.